Northants will begin their 2016 season with a home LV= Championship Division Two clash against Sussex at the County Ground on Sunday, April 10. In a busy start to the campaign, the County will play seven of their 16 Championship games before the end of May. Following the Sussex match, they travel to Essex, host Derbyshire, go to Leicestershire, entertain Kent, make the trip to Gloucestershire and also welcome Essex. After the Essex Championship game (May 28), Northants won’t play another four-day game until June 22 as white-ball cricket takes centre stage. 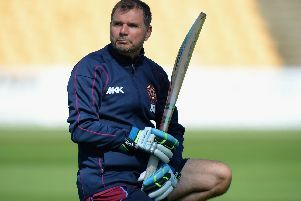 The Steelbacks actually begin their T20 campaign with a Friday night trip to Grace Road to take on Leicestershire Foxes on May 20, before hosting Derbyshire the following Friday (May 27). In June, the action is split between T20 and Royal London One Day Cup action, with home T20 games against Worcestershire, Durham and Leicestershire, and home RLODC clashes with Lancashire and Leicestershire. Early July sees the action split between T20 and the County Championship, before the RLODC becomes the focus in the final week of the month. David Willey can look forward to a possible return to his home town as Yorkshire are the visitors in a T20 game on Friday, July 29. The T20 Finals Day is scheduled for August 20 and will again be at Edgbaston, while the Royal London One Day Cup will be at Lord’s on September 17, the final day of the season. September sees the County wrap up their Championship season with a trip to Canterbury to take on Kent, while Gloucestershire are the final visitors to the County Ground for a four-day game starting on September 12.